Direct from Maniago, ITALY! The A.G.A. 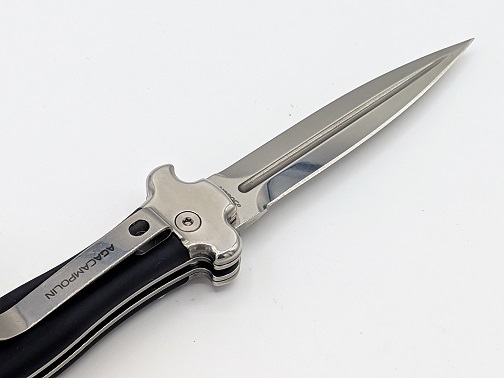 Campolin "ZERO" Leverlock Automatic Knife. Dagger Blade Single Edge Grind. 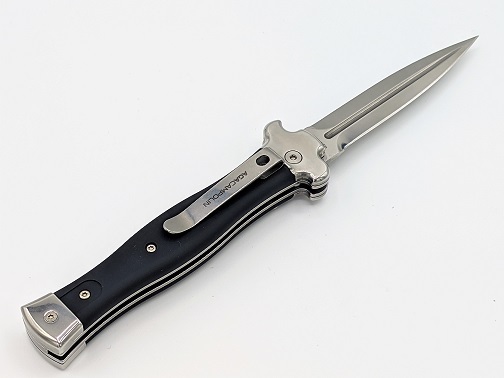 Austrian Stainless Steel N690Co. Solid Steel Bolsters AISI 430 Stone Washed. 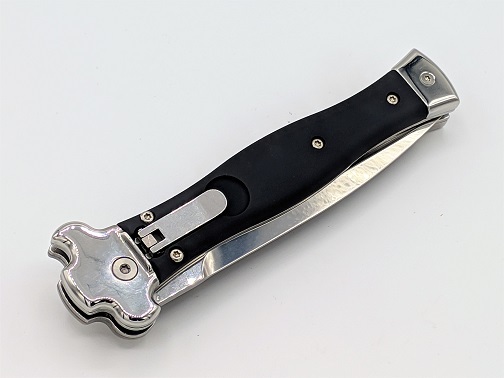 Textured Black Tactical G-10 Handle Scales. Inverted Leverlock Mechanism For Fast Action. 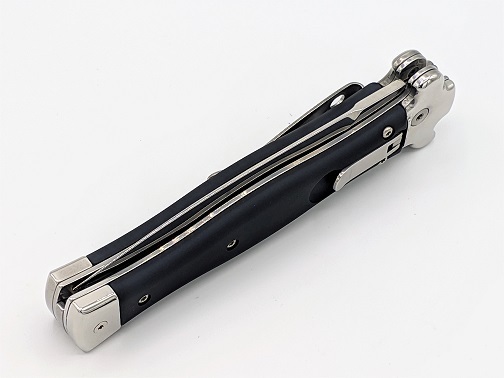 Double Spring For Durable And Faster Opening. 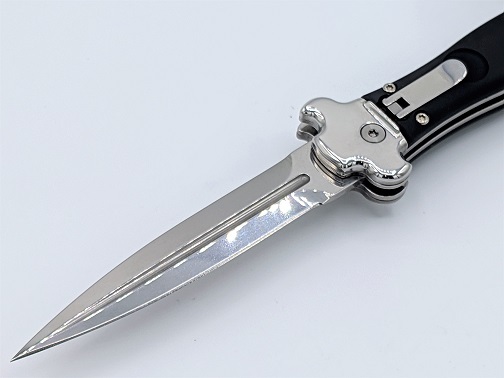 Stainless Steel Pocket Clip Can Be Removed And Substituted With Small Steel Shield Included. 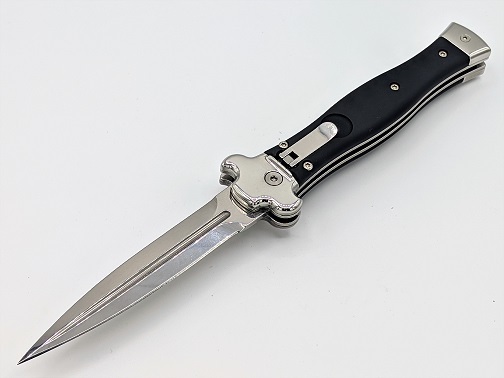 Date Stamped 11-2017 MADE IN ITALY Overall Length: 9" Blade length: 3.94" Blade thickness: 0.14" 1 Year Limited Warranty Card Included.